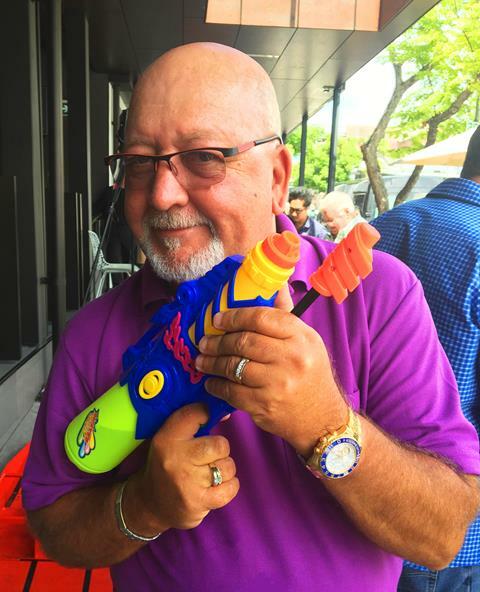 Anxious Andrew claws his way to the top as the 14th Mud Crab Cup winner during The Courier-Mail Children’s Fund charity event hosted at Gambaro Brisbane. Not only did James’ Home Services contribute a massive donation of $30,000 to The Courier-Mail Children’s Fund on Sunday the 26th of Feb, but we stole the show with both 1st and 3rd place in the Mud Crab Cup finals! See the full story below. We contributed $30,000 to The Courier-Mail Children’s Fund. And the best thing about it? Every dollar raised goes directly to work for Queensland kids! Over the weekend, James’ Home Services supported the Courier Mail Children’s fund by competing in the Annual Mud Crab Cup in Brisbane. The day was a huge success, with new Regional Franchisor Andrew Hume coming in First Place in the Cup Finals. Thanks to Andrew and his Mud Crab Anxious Andrew’s efforts, alongside the company’s generosity, we received a mention in Brisbane’s The Courier Mail newspaper! ‘These prize winning crabs have clawed their way to victory for a good cause, one pincer at a time. ‘Dozens of mud crabs raced in the 14th annual Gambaro Mud Crab Cup in Brisbane yesterday, raising more than $65,000 for The Courier-Mail Children’s Fund in the process. ‘Andrew Hume, who entered the race representing James’ Home Services, won the day, with his crab, Anxious Andrew, scuttling the competition. ‘”My brother had cancer as a child so I think it’s a very worthy cause, and to come out here on this day is also a lot of fun,” he said’ (Courier Mail, Brisbane 27 Feb 2017, p. 11). Does James’ Home Services sound like a company you’d like to be a part of? At James’ you’re in business for yourself, not by yourself. Become your own boss and find out how you can join the James’ Home Services Group here.